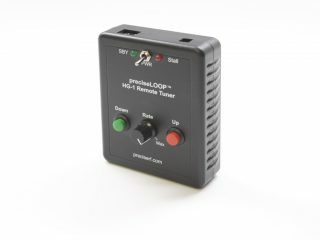 The HG-1 Remote Loop Tune is a compact, easy-to-use remote tuner for a Magnetic Loop Antenna (MLA). It is designed specifically as a retrofit for the popular preciseRF HG-1 MLA. It may be possible to adapt it to other MLA antennas with similar drives (there is no standard). 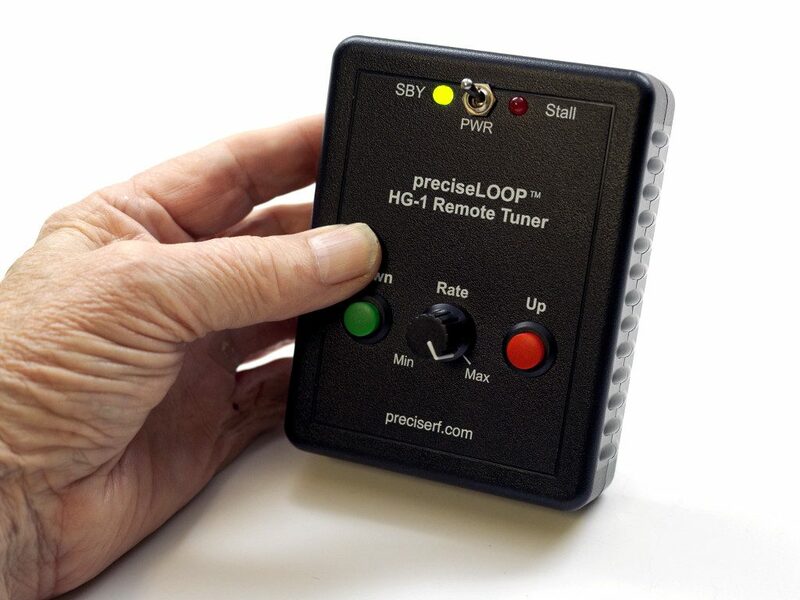 Now you can place your HG-1 Magnetic Loop at a remote location, such as the top of your RV, away from obstructions, for better radiation efficiency and less interference. The controller features an efficient, low noise, pulse width modulated, motor controller. The drive motor RPM Rate is adjustable over a very wide range. This allows for precise tuning and low SWR. A custom designed current limiter detects the end of the tuning range and alerts the operator when the tuning limit is reached by a “stall” indicator. In addition, a fail-safe slip clutch mechanism protects the motor and tuning capacitor as well. The HG-1 Tuner is ready to go. It includes the remote controller, a cable and the motor mount which attaches to the exiting HG-1 antenna tuner case. The tuning motor attaches to the HG-1 tuning case. This is done by removing the stock knob and mounting the tuning motor assembly using the existing mounting holes to the 6:1 reduction drive. This ensures fine and smooth tuning. If ever desired, the user can remove the external drive motor and re-install the tuning knob for manual operation. The controller was designed for rugged field use. It uses high reliability components with heavy duty relays and an efficient heat sink. RF interference was minimized using proper RF design techniques and effective filtering. The connectors feature proven Ethernet technology for long life and easy replacement. The attractive ABS case was custom made to fit comfortably in the operator’s hand. The controller features an efficient low noise, pulse-width motor controller. 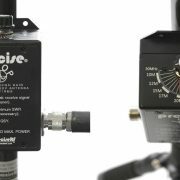 The drive motor is adjustable over a very wide tuning range (80-10 meters with supplied optional resonators) featuring ultra fine resolution. 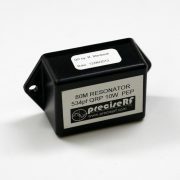 This allows for precise tuning and low SWR. A current limiter detects the end of the tuning range and alerts the operator when the tuning limit is reached by a “stall” LED. A slip-clutch mechanism protects the motor. 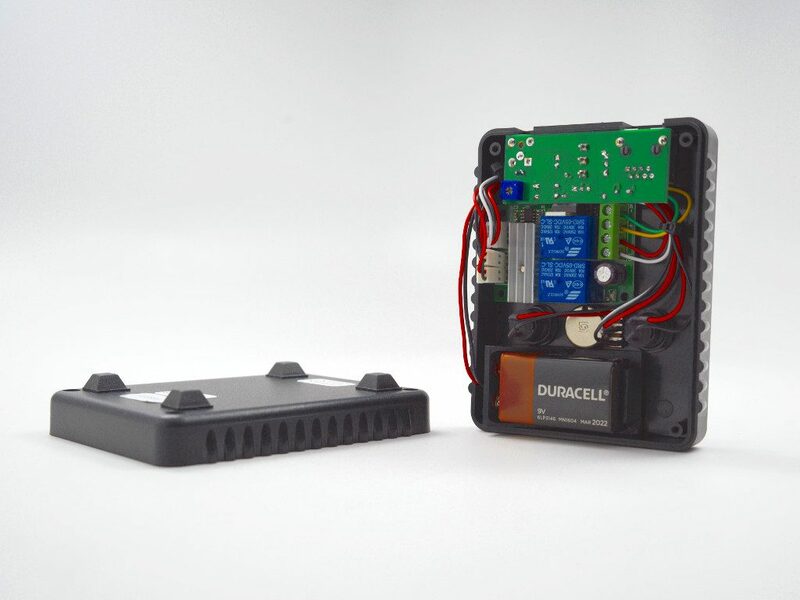 Power is provided by an internal 9V battery or an external power supply (not included). Using a remote tuner is different than tuning by hand manually. It takes a little practice. When tuning by hand, after selecting the receiver’s frequency, the operator tunes for a peak receiver signal. The natural inclination is to tune rapidly for a peak receive signal and then make small adjustments to fine tune and to achieve the lowest SWR. The reason for this method is to be able to hear the peak signal before the receiver’s AGC reduces the gain. 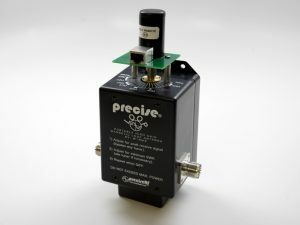 If you were to tune slowly, you might never notice the increased noise level indicating a peak signal (as is done by a competitor’s remote tuner). 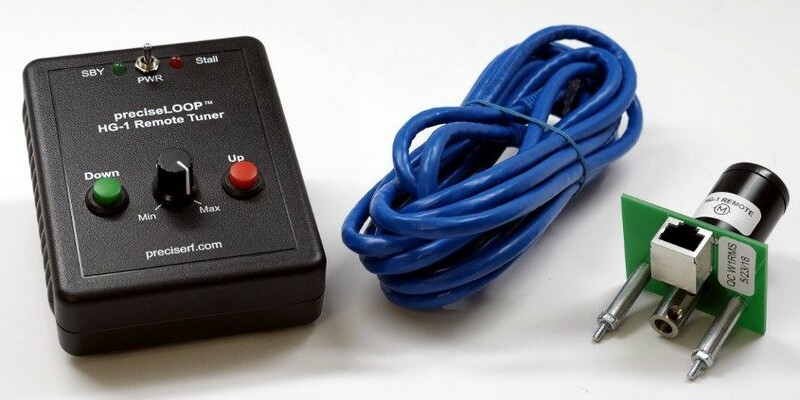 Fortunately, the HG-1 Remote Tuner features a unique wide range tuning Rate control. 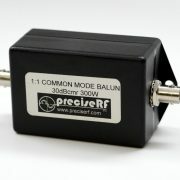 It provides the ability to quickly find the antenna resonance. Open the existing HG-1 manual tuner case. Take care not to damage the tuning capacitor by setting the frequency to its lowest setting. Remove the existing knob and pointer (save them for potential future use). Remove the existing mounting screws securing the 6:1 reduction drive (save any spacers or nuts). Remove the temporary nuts securing the two spacers attached to the HG-1 motor assembly. Attach the HG-1 motor assembly to the capacitor shaft. Using the supplied longer #4-40 screws, mount the HG-1 motor assembly to the 6:1 reduction drive. Make sure there is no binding. Tighten the set-screws and reinstall the HG-1 manual tuner case back. Adjust the limit potentiometer so that the Stall light stays on as the CCW and CW limits are reached. Slight slight flickering of the Stall light is normal. Replace the cover. Do not over tighten the cover screws. Note: This product is NOT waterproof. Battery operation is intended for short interval temporary use. If the the motor stalls, or becomes sluggish, it is likely because of a low battery. For permanent installation, use the optional external power supply. 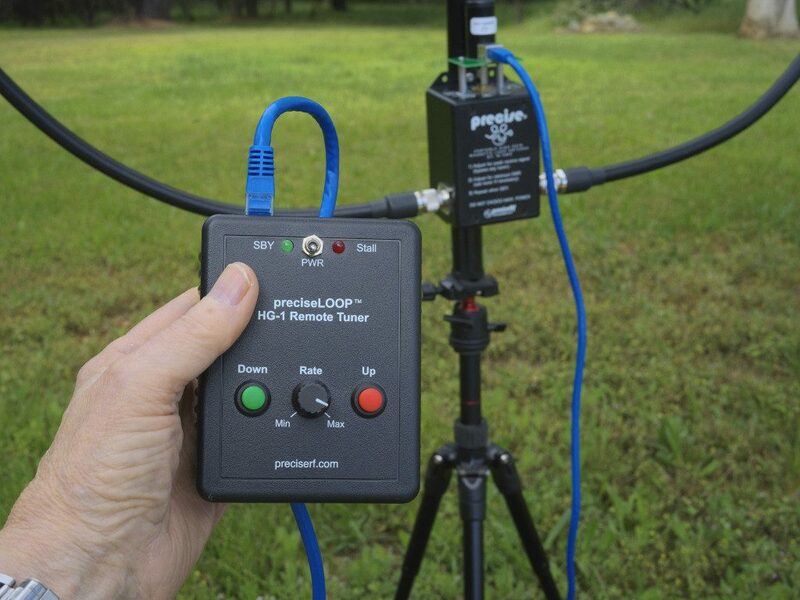 Make sure the HG-1 Magnetic Loop antenna is placed in an obstruction free area. For better water protection, the HG-1 motor drive assembly may be mounted facing down. Connect both ends of the supplied cable (common Ethernet cable) to the motor assembly and controller. Turn the HG-1 Remote Tuner on; the green SBY LED should illuminate. Set the Rate control to its Max position. System Check. While observing the motor assembly, push the red Up or green Down buttons. Note the motor turning CCW or CW depending on the button pushed. This is an indication that the system is correctly connected and everything is in order. If the red Stall LED comes on, that is also OK. It just means you have reached the limits of the tuning range. If possible, turn the receiver AGC off or set it to slow; bypass any external or automatic antenna tuner and set the mode to SSB (it’s has the loudest background noise). Turn the HG-1 Remote Controller to SBY (on) and set the Rate control to Max. Using the red Up or green Down buttons, tune for a peak receive signal (use your ears or the S meter). The maximum peak will be brief, but obvious. You may have to momentarily push the Up or Down buttons to get close. (The red Stall LED lights if either the lower or upper limits are reached – slight flickering is normal). Once you receive an obvious peak signal, reduce the Rate control and alternately make small adjustments using the Up or Down buttons for the strongest peak signal. Note, when checking SWR, transmit a low power carrier. You should be able to achieve an SWR of 2:1 or better. In rare cases, you may want to use an external tuner to touch up the SWR. Set the receiver to the desired mode and turn the HG-1 Remote Controller off. Be the first to review “HG-1 PORTABLE REMOTE LOOP TUNER” Click here to cancel reply.